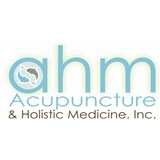 Acupuncture & Holistic Medicine, Inc. (Wilton Manors) - Book Appointment Online! Acupuncture & Holistic Medicine, Inc.
Evelyn Lopez is the owner and acupuncturist of Acupuncture and Holistic Medicine, Inc. She is a licensed Acupuncture Physician and Reiki Master serving the Fort Lauderdale area. Evelyn’s integrative approach combines Acupuncture, Traditional Chinese Herbology, Homeopathy, and Reiki with Western Medicine philosophies to promote physical, emotional, and spiritual health and well being. Evelyn possesses a vast knowledge of Eastern and Western medicine for the benefit of those under her care. Her sunny disposition and warm nature make her clients feel at ease as they undergo treatment. The inviting, relaxing, Zen atmosphere in her practice brings about serenity for herself and those whose lives she touches. One might compare a visit with Evelyn Lopez to a virtual visit to an ancient Buddhist temple, where one can find calmness and healing yet closer to home! Evelyn's office is a very serene and stress-free environment. She was professional, kind, and very informative. It's taken me several months to find an acupuncturist that I like since moving here, and Evelyn is the one. Will be back time and time again.